Like you don't all know my first name already. So, Hyrule Warriors. This game is insanely fun. I have tried a lot of the characters and so far my hands-down favorite is Sheik. I love how fast and fluid her movements and combos are, and it's pretty neat what they did with the songs. 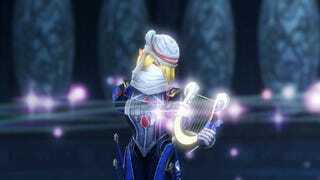 This is also a plus for me because Sheik has always been one of my favorite characters in the LoZ universe. What character from any game would you love the chance to play as? Talk about this or anything else below!